It’s after school on Friday and the homework is light, so Grace, 7, takes a seat at one of 16 laptops in the room and signs in. The second grader with hot pink nails is soon clicking through questions about responsible money choices, topics from the difference between a career and entrepreneur, to an introduction to taxes. 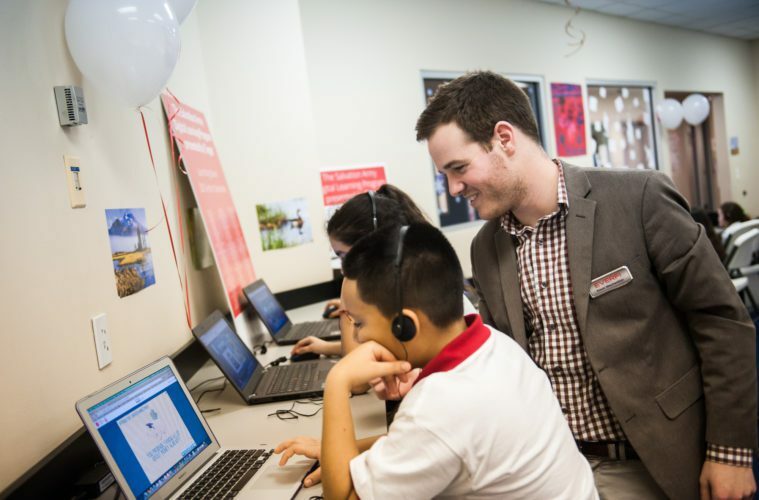 Grace is part of The Salvation Army Digital Learning Program—in partnership with EverFi and through a grant from Target—now happening in 200 after-school programs across the nation with youth in grades K-12. EverFi’s education technology is aimed at empowering youth and communities with life skills in financial capability, STEM readiness, career leadership and success, health and wellness, and diversity and inclusion. Its interactive learning software is used by over 1,200 partners, each trained in its implementation by EverFi’s veteran educators. In “Vault – Understanding Money,” for example, Grace was immersed in real-life financial scenarios such as creating a household budget in an animated, performance-based game that asked her to determine the difference between needs and wants in her budget.